Dehydration: Water makes up about 70-80% of the human brain and helps create neurotransmitters and hormones. Water provides the electrical energy you need for brain functions like mem ory and thought processing. Dehydration causes the brain to slow down and can add to feelings of depression, anger and disruptions in sleep. Dehydration has also been linked to dementia, Alzheimers and exacerbates the symptoms of Parkinsons. Studies show that if you are only 1% dehydrated, you can experience a 5% decline in cognitive function. 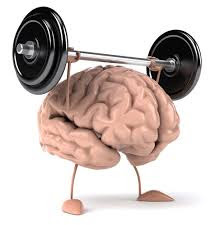 If you can drink “half your body weight in ounces” each day you can keep a healthy and active brain. And if you can begin your morning by drinking at least drink 10-12 ounces when you wake up in the mornings, you can start your day with a super-charged brain. Circulation: How often do we find yourself sitting for hours behind a computer, in a car or at a desk? This means your body is not moving. Neuroscience research has shown that 90% of your brains nutrition comes fro m spinal movement. So movement literally feeds your brain. Setting your phone to remind you to get out of your chair and move around frequently throughout your day could give you that creative brain spark you are missing. Shallow breathing: When we are stressed or intently concentrating on something, we unconsciously begin to breathe at a shallow rate. This means we are not filling up our entire lung capacity. We are not taking in the full oxygen we need, and not expelling the carbon dioxide we do not need. Less oxygen exchange means fatigue for both our brain and our body. Your brain becomes foggy and struggles to stay focused; your body feels like it wants to take a nap. One effective way to brain fog and physical fatigue is the use of “Balloon Therapy”. This promotes deep abdominal breathing for full oxygen exchange and releases endorphins, our body’s natural painkillers and emotional elevators. Its an excellent way to rejuvenate yourself throughout the day. • Stabilize or lower blood pressure. Finally, “Balloon Therapy” can improve your metabolism and fight weight gain and obesity. 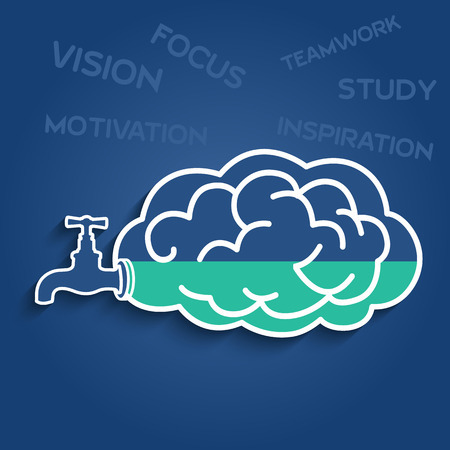 So between drinking more water, moving your body more frequently and practicing balloon therapy, you can have a super-charged brain full of energy and creativity. Click the link for to watch PT4U’s video called “2 Minutes 2 Better Brain Function” and get your brain and body jump-started out of that brain fog.